Bankprobe analyzes FDIC Call Reports in real time and generate easy to use charts to help you understand how each bank is performing, i.e. Bank of America. 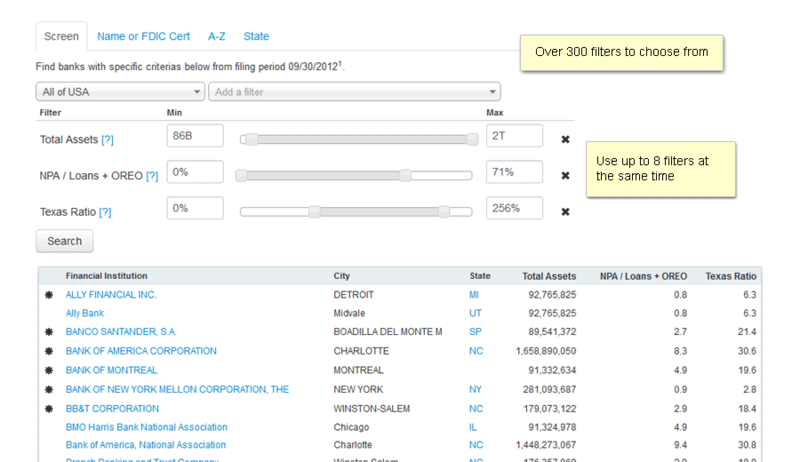 Our bank screener enable you to search for banks using over 300 metrics. Powerful peer analysis tool that allow you to compare up to 6 banks simultaneously. Search the entire universe of banks base with any of the 300 plus metrics available. Give the bank screener a try. 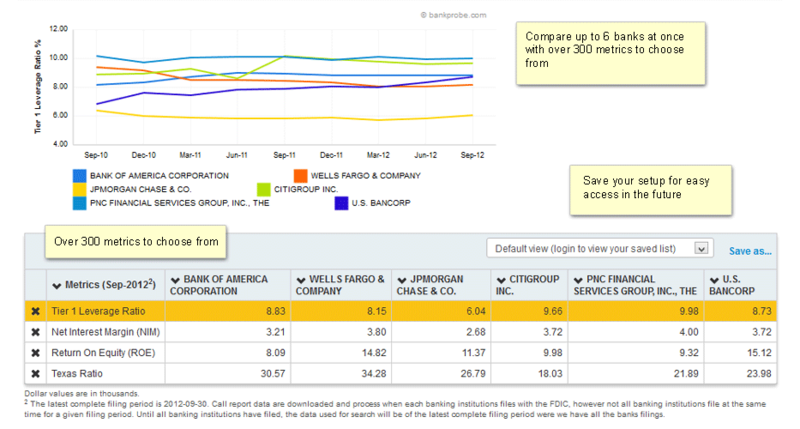 User defined, customizable peer analysis tool, allowing you to compare up to 6 banks simultaneously side by side. Give the peer analysis tool a try. 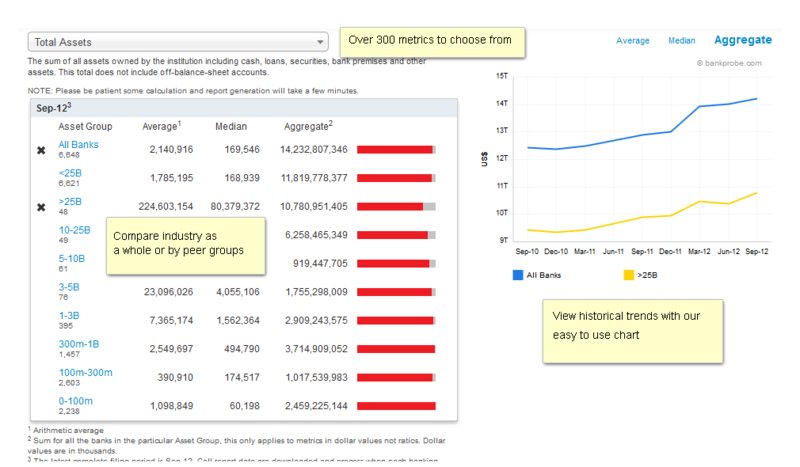 Over 300 data metrics, and easy to use charts and graph to help you understand the data and how each bank is doing i.e. Bank of America. 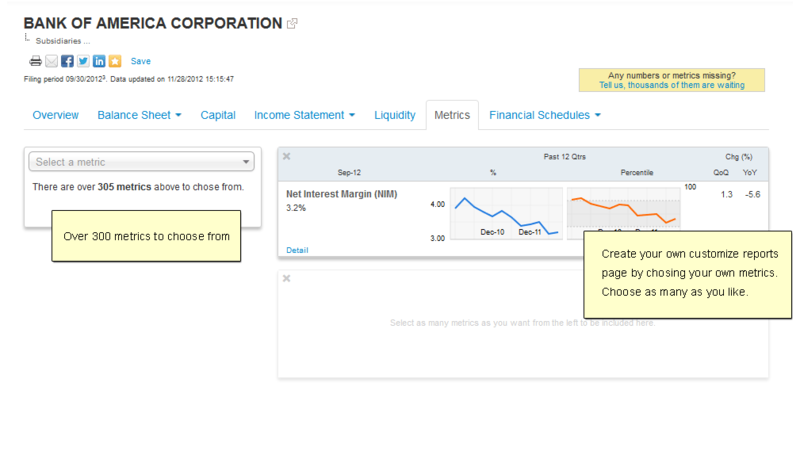 Customize your own detail bank report page, by choosing your own metrics. Over 300 metrics to choose from i.e. Bank of America Custom Page. Analyze the industry, compare different peer groups and see how the industry is doing as a whole or by peer grouup. Give the industry analysis tool a try. We analyze FDIC Call Reports in real time, as soon as a financial institutions files their report they become available in our system. Above is a chart of the number of call reports we processed on the specific date for a given quarter. 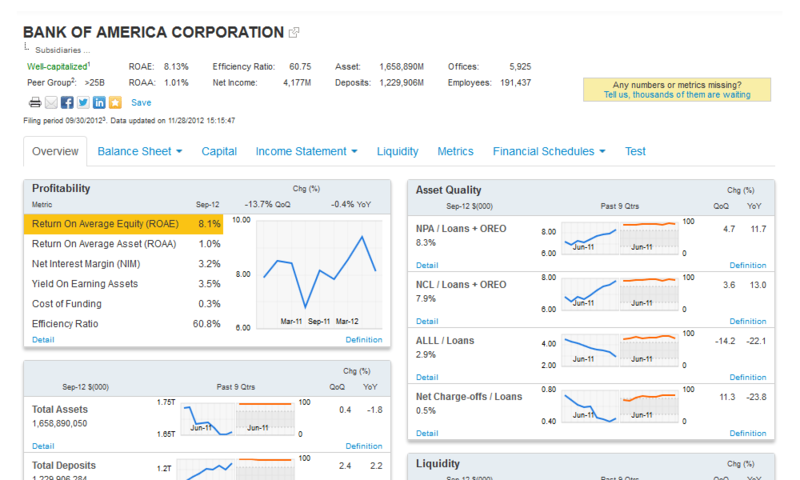 Try our Bank Screener, Peer Analysis Tool, Industry Analysis Tool, Detail Bank Reports (i.e. Bank of America) .